*You might want to think about packing your "freshen-up" kit in your carry-on bag so you can freshen up at our final stop before heading through the Lincoln Tunnel to Manhattan. It's going to be kinda tough to dig your toothbrush out from under the bus at 6:00am. *Something I forgot to put on the list of things to bring: PHONE CHARGER. A phone with no juice is no good to you. You'll be able to charge at the hotel each day/night. Also, to conserve battery power, I'd recommend turning off your phone while you're sleeping on the bus. * Baggage inspection will be at 7pm. Please be by your bags at this time. Got an iPhone or iPod touch? 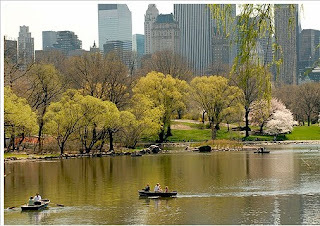 You should get New York 2Go. 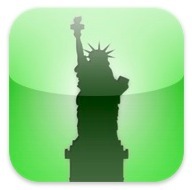 This app is totally worth it for the trip. It's a top-notch city guide, map, and encyclopedia that is offline so you can access it all on your touch on the bus or in the city. I've tried it out and it's totally worth the 99 cents. You'll have 90 mintues to experience 5000 years of art. If I were you, I would plan ahead. What are you going to see? Visit the official site and figure out where to go to see what you want to see. 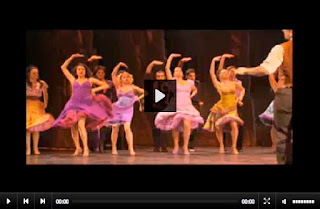 Click to see videos from and about West Side Story! 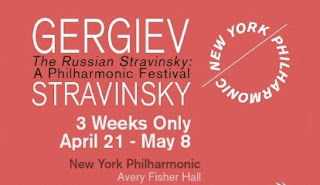 Read all about the amazing all-Stravinsky program that we'll be attending on Saturday night. Be sure to click on "Read more about this piece" to read the program notes for everything that you're going to hear. 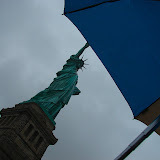 NYC2010 - Weather Forecast Improving! The forecast for the weekend is improving with highs now in the upper 60's on Saturday and the only chance of rain now on Sunday. Keep up to date until we leave so you are totally prepared for what Mother Nature dishes out on this trip! We are honored to have the OSU Men's Glee Club perform at Fairbanks High School on Tuesday, April 20. The 130-member choral group will sing at 9:30am in the FHS gym. This amazing opportunity has been made possible by the Union County Community Concert series. Their 45-minute program will consist of famous school songs, traditional songs, modern choral literature, as well as lighter fare. 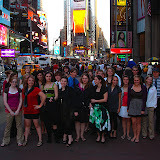 Thanks especially to the Glee Club, under the direction of Dr. Robert J. Ward, for performing for our students free of charge. 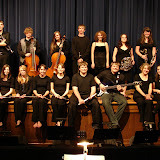 A full-length concert will be presented at Marysville High School auditorium at 7:30pm in the evening on the same date. Tickets are available at the door. Sorry it's taken me so long. 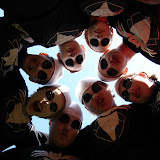 Here's the pics that were still on my camera from OMEA State Marching Band Finals. My apologies for the freakish delay. 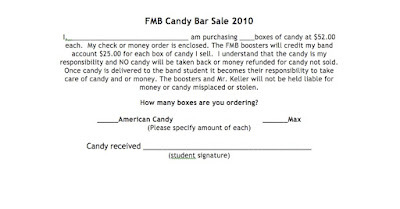 If you ordered Candy prior to Wednesday, it will be available for pickup after 2:10pm today. *Be sure you bring enough spending money to feed yourself and shop how you want to shop. You'll probably want to allow $10 per fast food meal for those meals that are not included in the trip. *Come prepared for the weather. We do all the things on the schedule rain or shine. *Your backpack/purse will be searched several times...at Ellis Island and 30 Rock. Please make sure you don't have a pocket knife or anything else like that in there. It could SEVERELY throw us off schedule if you are detained for any reason. *Your luggage will be checked by chaperones before we depart. Please don't be stupid enough to bring alcohol/tobacco/drugs/weapons on this trip. Fairbanks Music Boosters will hold a can collection this Sat, April 17th from 9-11am in the high school student parking lot near the soccer field. Donations are also accepted at Union Recyclers, 15140 US Rte 36 East in Marysville, during their business hours for Fairbanks Music Boosters. 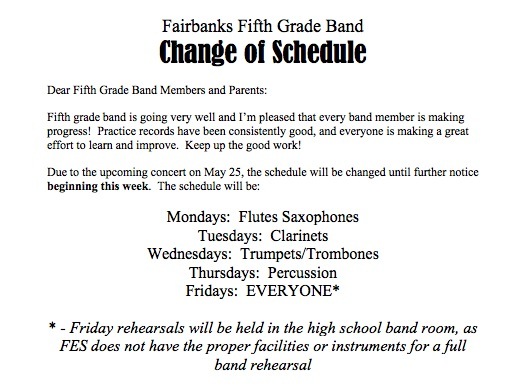 Just let them know that you would like to donate the cans to the Fairbanks Music Boosters and they will send us a check. If you have any questions please call Kelly 614-873-6961. Thank you for the continued support and we look forward to seeing you on Saturday! booster mailbox with attached order form. which box you wish to sell. the candy. I will be making 2 candy deliveries a week. $225.00 from just selling candy. everyone does a little, no one has to do a lot! 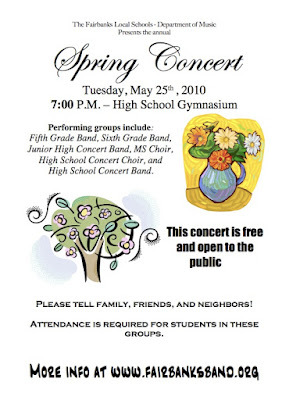 Spring concert info - click to enlarge. 7:30 AM Arrive in Rockefeller Plaza, an art deco marvel consisting of 19 commercial buildings covering 11 acres in midtown Manhattan from 49th to 52nd Streets, Fifth to Seventh Avenues, named after the multi-millionaire, John D. Rockefeller. 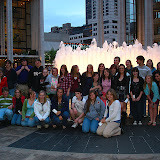 Rockefeller Plaza is the site where The Today Show is broadcast.